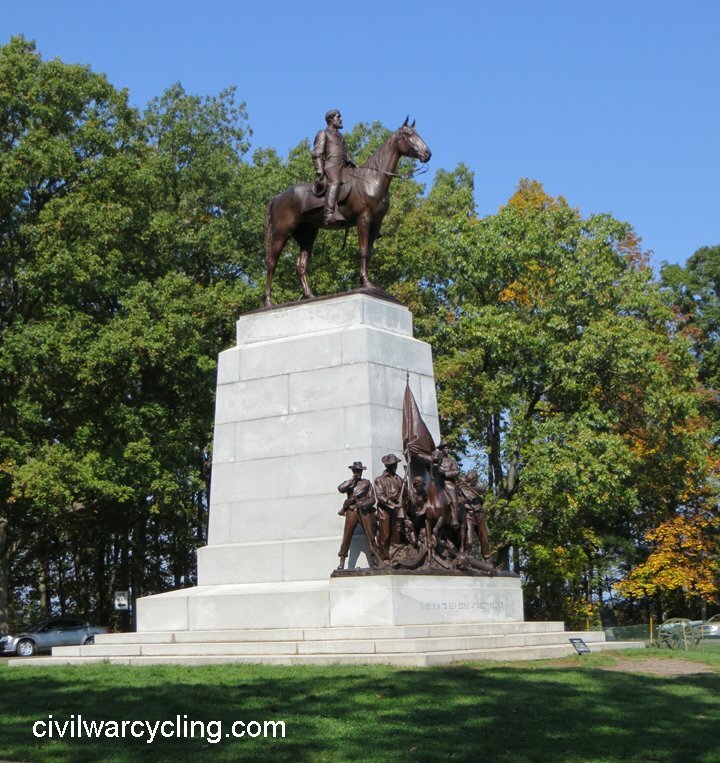 There are eight equestrian monuments in Gettysburg National Military Park. 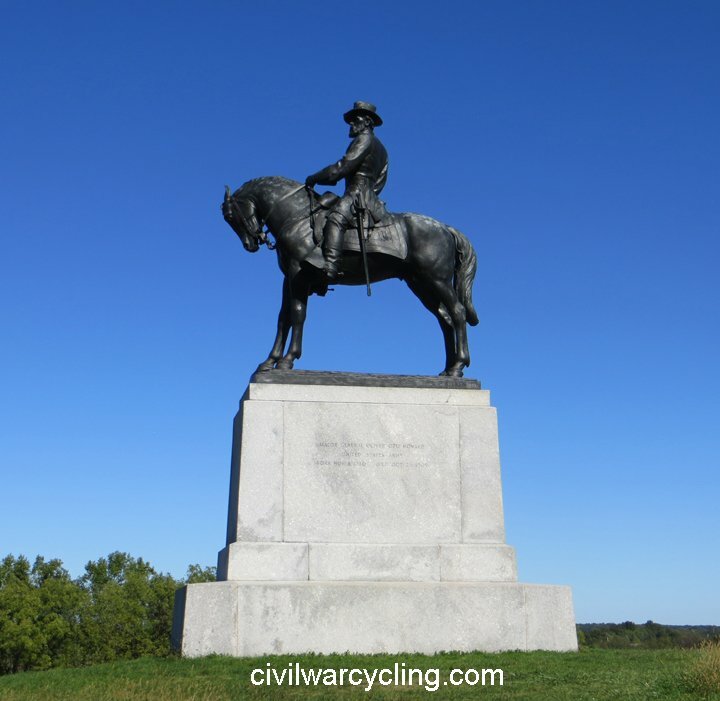 Finding equestrian monuments at Gettysburg is not difficult, since they are large structures and relatively small in number. 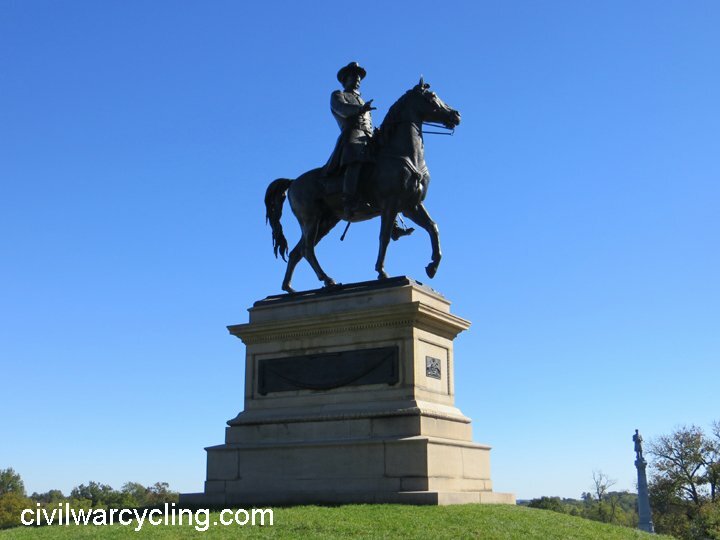 On the other hand, finding equestrian monuments at Gettysburg means bicycling though most of the battlefield. 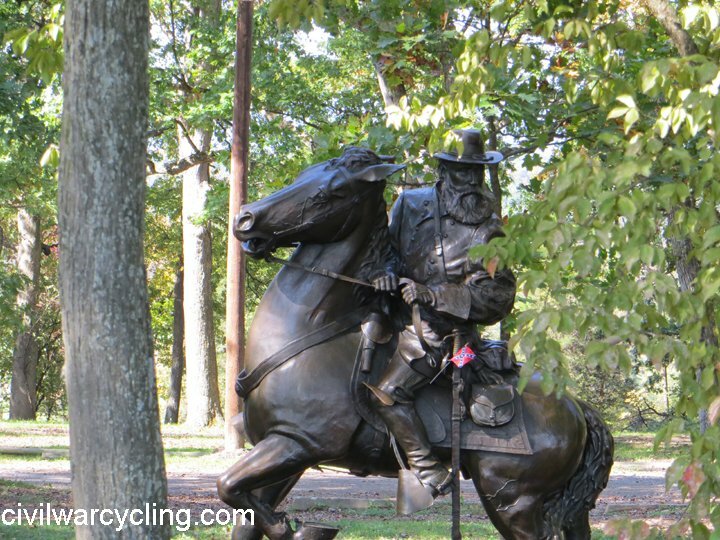 And that requires a little planning if your goal is to include each of these monuments in a single bicycle route. 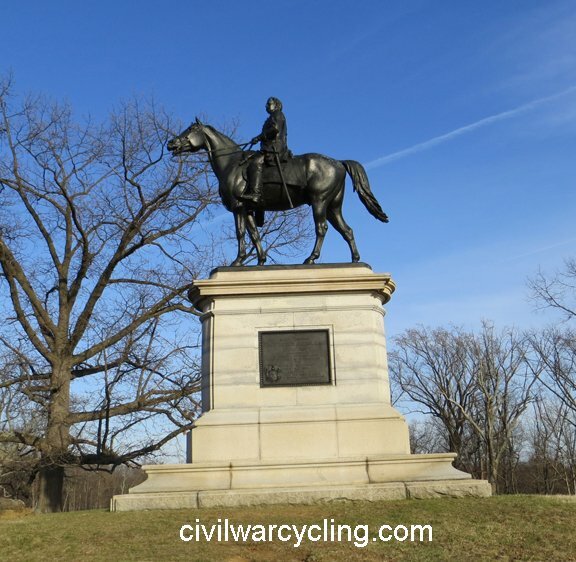 Six of the eight equestrian monuments honor generals from the Army of the Potomac (AOP), the Union army that fought at the Battle of Gettysburg, July 1-3, 1863. 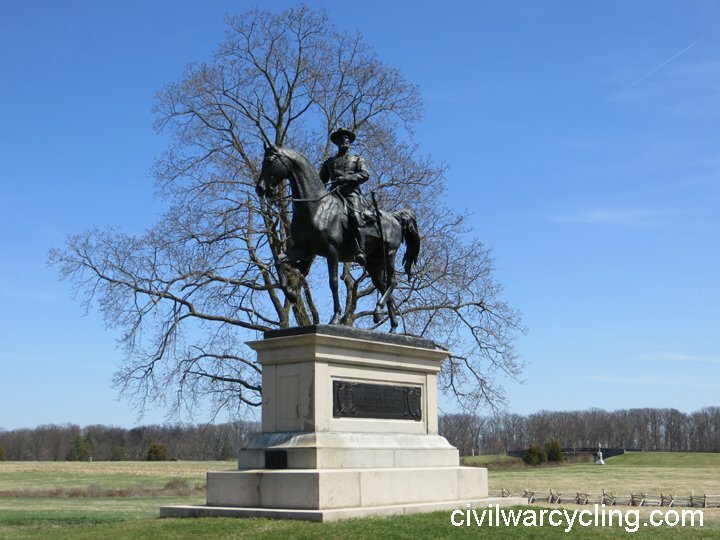 And two equestrian monuments honor generals from the Army of Northern Virginia (ANV), the Confederate army that attacked Gettysburg. They are listed in the following table. 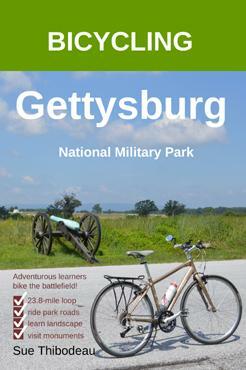 Can you find equestrian monuments at Gettysburg using the following maps? Give it a try! 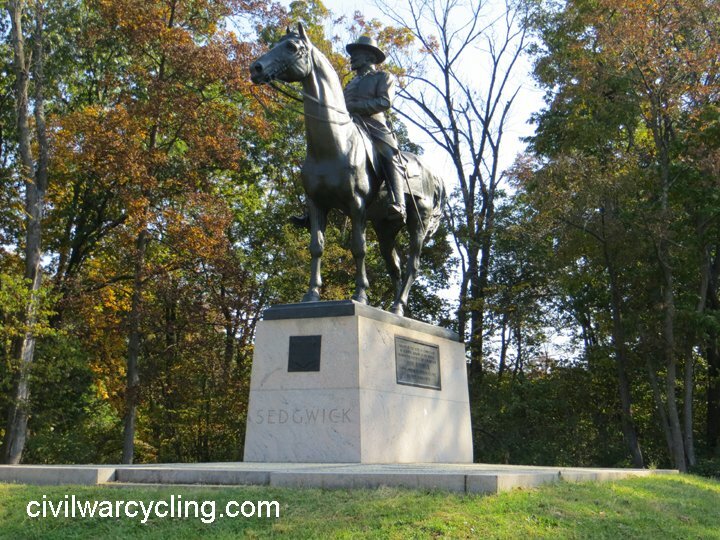 Then plan a bicycle route that passes each equestrian monument. Two routes might be easier to plan and ride. The first would focus on battlefield events of July 1, 1863 (and include only the Reynolds monument north of town). The second route could begin on the north end of West Confederate Avenue and head south, eventually cutting east on Millerstown and then Wheatfield Roads to turn left onto Sedgwick Avenue. Having at this point visited three equestrian monuments (Lee, Longstreet, and Sedgwick), ride north to Hancock Avenue to visit the Meade equestrian monument. 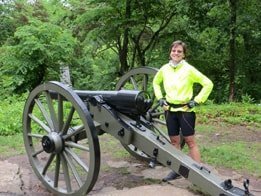 Finally, there are several ways to ride from here to East Cemetery Hill (Hancock, Howard) and Stevens’ Knoll (Slocum), but you might prefer to visit these monuments on yet another bicycle trip. 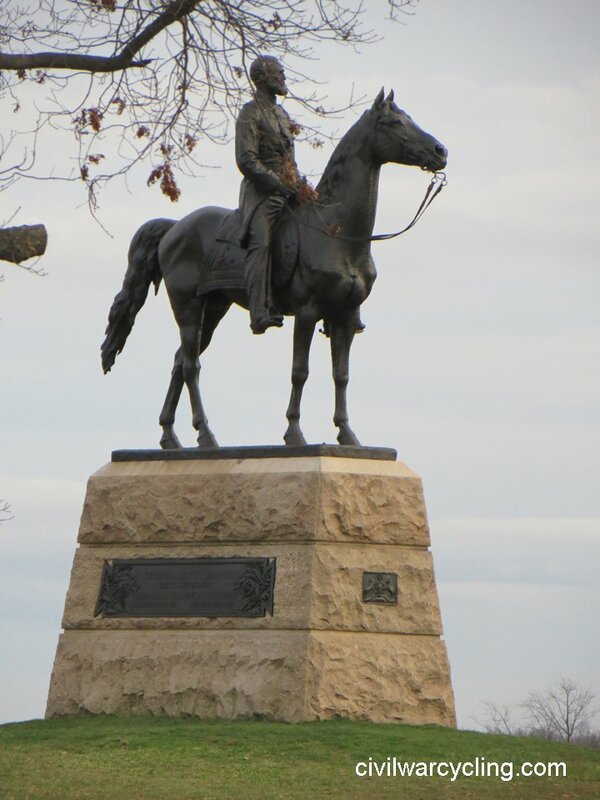 Thanks for Finding Equestrian Monuments at Gettysburg!